Until I headed down to the south coast last week to take part in the Superyacht UK Tour of Excellence, I must admit I had naively overlooked Britain’s rather important place in the superyachting industry. I knew, of course, that there was activity here – I just hadn’t realised quite how much. The revenue from superyachts in this country is up 10% from last year to £542m, creating thousands of jobs and quietly boosting the UK economy as it steams ahead at full pelt. 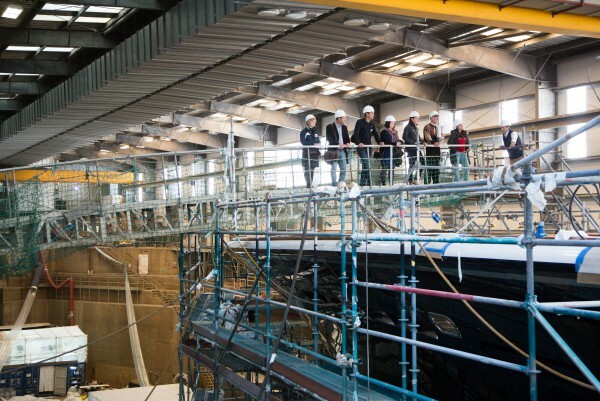 It’s not at all surprising when you stop to think about it, Britain has an extremely rich seafaring heritage and excels in the fields of innovation and design – all crucial factors when creating huge oceangoing vessels for the world’s most discerning customers. As it happens, we have a rather large helping of said customers on our very shores, with around 10% of the world’s privately owned yachts belonging to Brits. It makes perfect sense to cater to them on home turf. Such partners include interiors outfitters, and as part of the tour we visited Design Unlimited, a company led by Mark Tucker, whose award-winning yacht projects including WinWin and Shemara, have lead to the team exporting their expertise beyond the UK, and recently into property projects in Ibiza and New York. 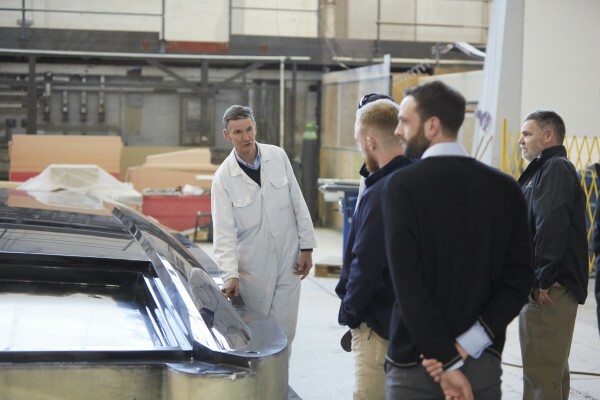 Undoubtedly another highlight on the tour was a visit to the Land Rover BAR HQ, where preparations for the America’s Cup World Series were well underway. Yet another score for the UK and, in particular, Portsmouth which will be hosting the event from 21st – 24th July, offering a final opportunity for fans to support the team in the UK before the cup next year in Bermuda.